This woman did not skip a beat. As the bus was pulling up, she leaned slightly forward, blaaaaargh-ed, then just hopped on. Damn, New York, you know how to have a good time. 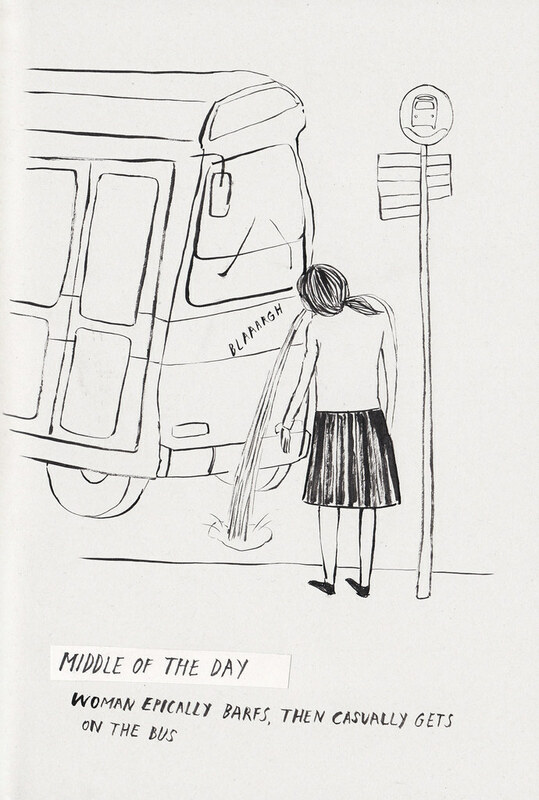 That happened to my sister all the time with morning sickness on the way to work, ha ha, oh I shouldn't laugh, ha ha.